A 8,800sf building that recycles its own water and uses 80% less energy than others just like it. A building where 85% of it’s construction waste was recycled or repurposed, an 100% of it’s lumber was sustainably grown. A one of its kind, internationally recognized, award-winning sustainable building designed and constructed right here in northern Arizona. Civil Design & Engineering, Inc. is a Flagstaff-born engineering firm founded by Ms. Christine Laguna, P.E. in 1996 and specializes in LEED Design, which stands for Leadership in Energy & Environmental Design. LEED certification, awarded by the U.S. Green Building Council, is recognized across the country as the premier mark of achievement in green and sustainable building practices. Platinum is the highest of the four possible LEED certifications. As part of a design-build contracting team for the National Park Service, CD&E was selected as the design firm to provide LEED engineering and architectural support to bring this project to life. A grey water collection system that reuses waste water and saves up to 182,000 gallons of potable water per year, and approximately 3,650 kWh (kilowatt-hours) of energy savings per year. The use of solar panels will provide a viable source of onsite renewable energy that is expected to generate 5,300 kWh of energy savings per year. A video display in the building’s lobby show’s show real-time solar power generation and use, as well as rain and grey water collection and use, helping to educate and inspire park visitors and residents to practice conservation and sustainable practices at home. “Environmental sustainability played a major role in all of our design decisions, and we are very pleased with the final result which is a beautiful, inviting, and sustainable work space for NPS staff and visitors,” said Christine Laguna, P.E., LEED A.P., President of CD&E, Inc.
On February 12, 2015, CD&E was honored at USGBC Arizona Heavy Medals with an award for their commitment to green design and construction on this LEED Platinum-project. In addition to this award, this project has won a sustainability award from the Coconino County Sustainability Department, and has been internationally recognized for its green ingenuity. 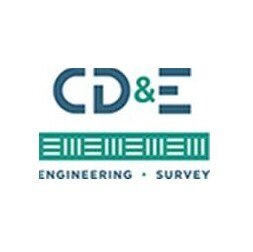 If you are interested in sustainable construction, engineering or architecture for your project, home or building we invite you to contact CD&E for more information k.wyse@cdeinc.org.